Online plumbing forums often carry discussion about the location of 4” AAVs (Air Admittance Valves) inside buildings in relation to spillover levels. The established view is that AAVs should always be positioned above the spillover level of the highest appliance. The logic behind this practice relates to the risk of flooding, a topic recently discussed as part of our Water Matters campaign. One of the key requirements of any drainage system, as set out in the Guidance section of Approved Document H of the Building Regulations, is to “not increase the vulnerability of the building to flooding”. An AAV located below the spillover level potentially opens up the building to a flood risk in the event of a blocked drain. However, there are different types of AAVs and you need to know the difference. If you are in a position where it would be helpful to drop a 4” AAV below the spillover level, e.g. to reduce boxing, the answer is “you can”, but you need to check the designation of the valve and choose a reputable product such as OSMA. You need to look for a kitemarked AI or AII designated valve as these are tested and approved to higher pressures (10 000 Pa or Pascal’s), capable of resisting water backing up through the soil pipe. If you ever feel inclined to look into this further, BS EN 12380:2002, section 4, table 1 is always a good read! A final thought before you commit though; consider rodding access. If you are intending the use the AAV as a rodding point, you might want to re-consider and locate it above the spillover level – it could be less messy! For guidance on installing an OSMA AAV, watch our short video. Have a question? Ask our experts. Steve is the Above Ground Product Manager for Wavin. 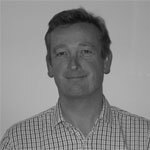 He joined the business in 2004 and is responsible for managing the Osma soil, waste and rainwater systems and specialist above ground ranges for commercial markets.